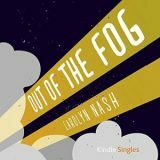 Out of the Fog by Carolyn Nash is a suspenseful thriller with a heroine who tends to have one heck of an imagination and a snarky sense of humor. Narrated by Ilyana Kadushin I quickly slipped into the tale and listened in a single sitting. At just about two and half-hours it is the perfect listen for travel.